Home › Blog › Medicinal › Cannabis is an ancient folk remedy for parasitic worms! Parasitic worms Creepy, crawly, and the stuff of nightmares...parasitic worms infect up to two billion people worldwide, and cause widespread ill-health, particularly in the developing world. Cannabis has been an important folk remedy for parasitic worms for centuries, and there is substantial modern evidence to back up its use. Various peoples around the world make use of traditional cannabis preparations to fight parasites, particularly in developing countries where use of folk medicine is still widespread—and where rates of parasitic infection are generally much, much higher. Recently, the Aka people of the Congo Basin were reported to smoke cannabis extensively in a possible example of unconscious self-medication. The Aka apparently do not associate their cannabis use with any protection against worms, and rather just smoke recreationally and for social purposes. Interestingly, the Aka also make widespread intentional use of another plant to combat parasites—whether or not this plant is effective is not clear, but it certainly seems that cannabis has a positive effect, as the cannabis-users carried fewer intestinal worms than their non-using peers. 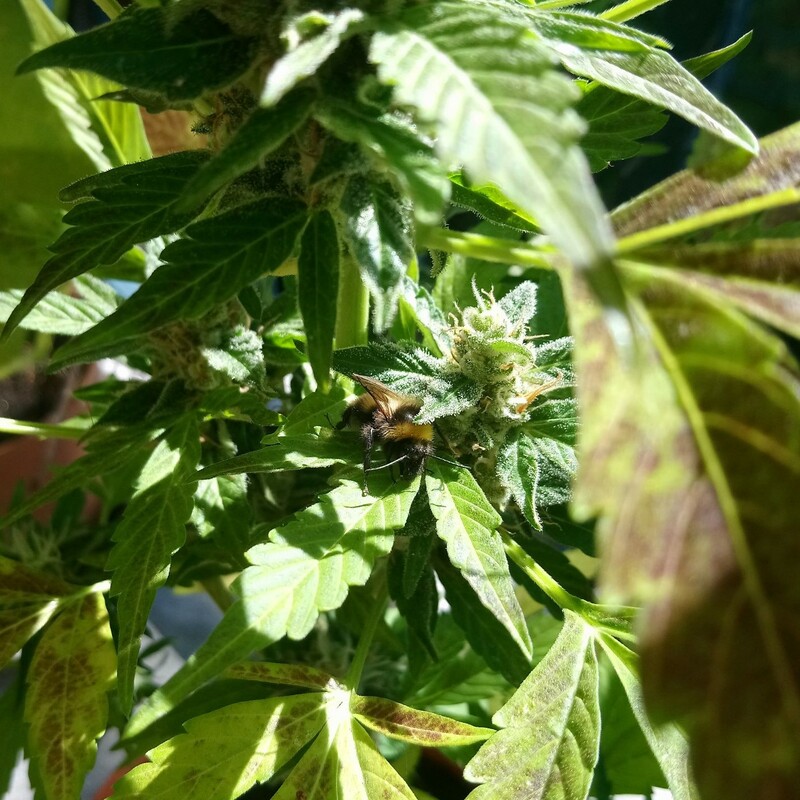 Whatever the intention there, plenty of other communities make entirely deliberate use of cannabis to fight off parasitic pests. Village communities in India’s northern state of Uttarakhand still make use of cannabis preparations to treat parasitic worms; similar usage is reported in the neighbouring state of Himachal Pradesh, and also 2,000 km away among communities in Andhra Pradesh, a south-eastern Indian state. There is little doubt that unrecorded usage occurs throughout much of India and the surrounding region. In Uganda, a 2010 report noted that villagers in the south-western agricultural region of the country made widespread use of cannabis to control intestinal worm infestations in their chickens, which are a hugely important source of eggs and meat. In fact, it seems that humans have been treating their animals with cannabis to control parasitic infestations for as long as we’ve been treating ourselves, if not longer. Cannabis has been used as a folk remedy for intestinal worms in myriad diverse communities throughout the world, for hundreds of years. From Europe to sub-Saharan Africa to Southeast Asia, mentions of cannabis as a treatment for gut parasites for humans (and the livestock they depended on for survival) abound in the historical texts. Here’s a few examples. Indian traditional medicine has certainly made use of cannabis as an anthelmintic (helminths are parasitic worms; anthelmintics are drugs used to treat them) for some considerable time. The respected work, the CRC World Dictionary of Medicinal and Poisonous Plants states that cannabis is used in the traditional systems of Ayurvedic, Unani, and Siddha medicine as an anthelmintic (among numerous other uses) for humans and cattle. 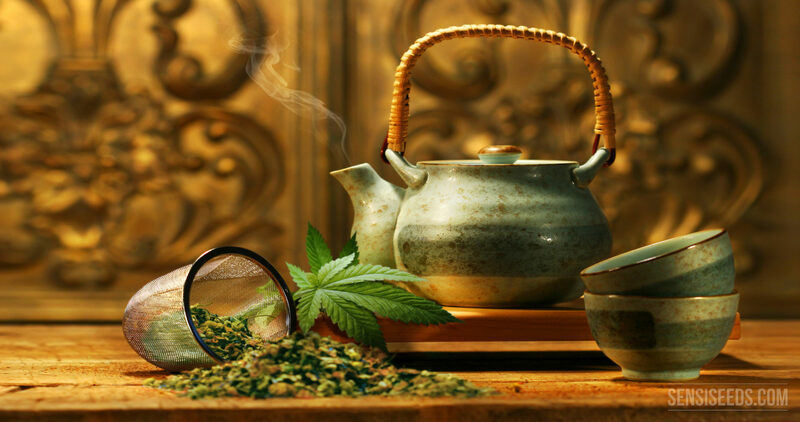 In China, both the seeds and the juice from freshly-squeezed leaves were used as anthelmintics; in Europe, the famous herbalist Nicholas Culpeper wrote in his 1653 opus The Complete Herbal that hemp “is held very good to kill the worms in men or beasts”; and in the U.S. prior to prohibition, hashish was apparently sometimes used for the “expulsion of Tenia” (Taenia solium, or pork tapeworm). So how effective is cannabis at fighting intestinal parasites? There is actually surprisingly little modern research into the ability of cannabis to fight intestinal parasites, although what does exist is generally promising. This fact was highlighted by none other than the renowned cannabinoid scientist Raphael Mechoulam, who noted in a 1987 essay Towards Cannabinoid Drugs that cannabis showed potential as an anthelmintic, but that “experimental work in this area with cannabinoids has not yet been reported”. One study into the usage of medicinal plants used to treat livestock animals in Uganda found that cannabis had some activity against the parasitic roundworm Ascari suum (which can infect both pigs and humans), although its effectiveness was lower than several other tested plant species (and ultimately, it did not make it into the shortlist of recommended candidates for future study). A. suum is a type of nematode worm, and cannabis has been shown to have activity against several other nematodes too. 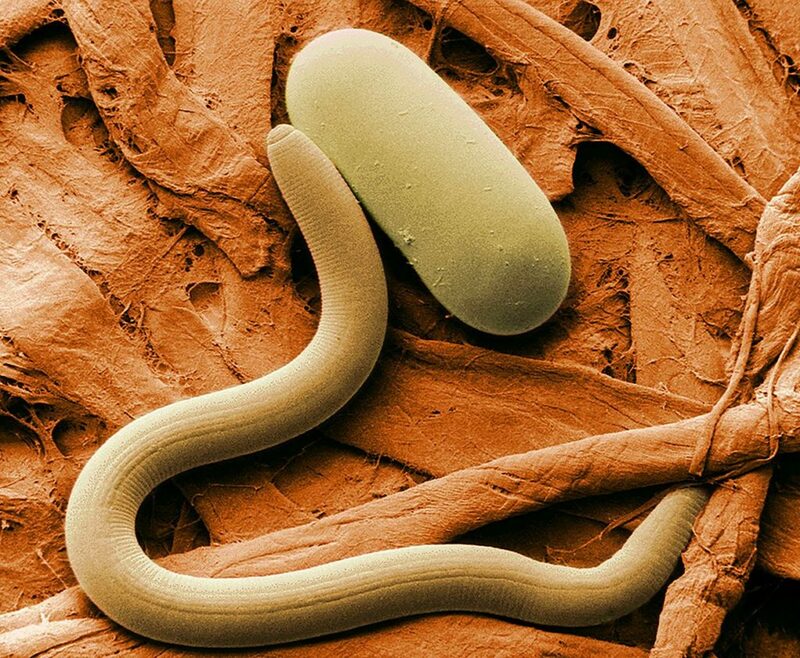 Nematodes are roundworms, a huge group of diverse species that can range from microscopic to over one metre in length. 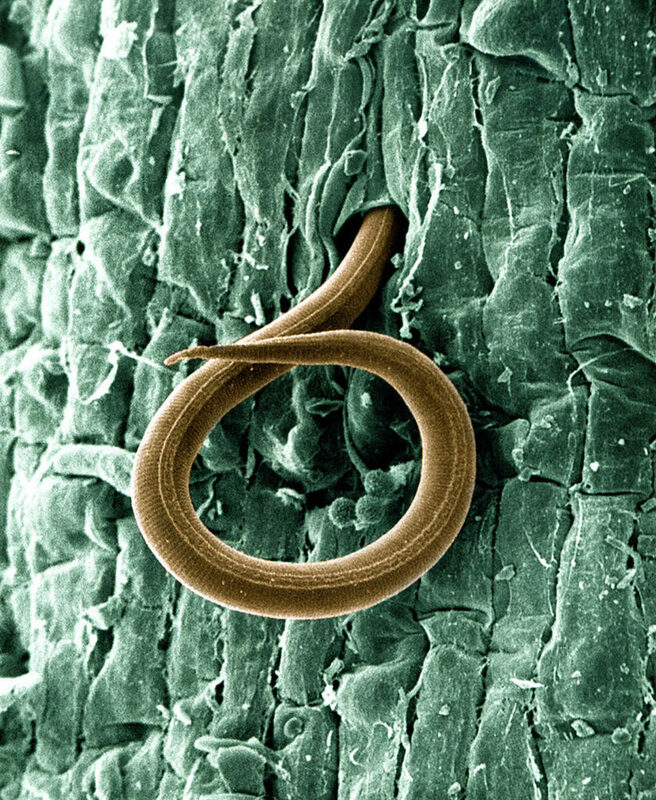 Beyond Ascari, other notable nematodes of humans include hookworm, whipworm, pinworm, and filarial worms. Although cannabis has not been shown to have direct effectiveness against any of these, there is evidence that it could be useful in the fight against filarial worms due to its ability to kill the larvae of the Culex quinquefasciatus mosquito, which is a major insect vector responsible for transmitting the worms to their definitive human host. 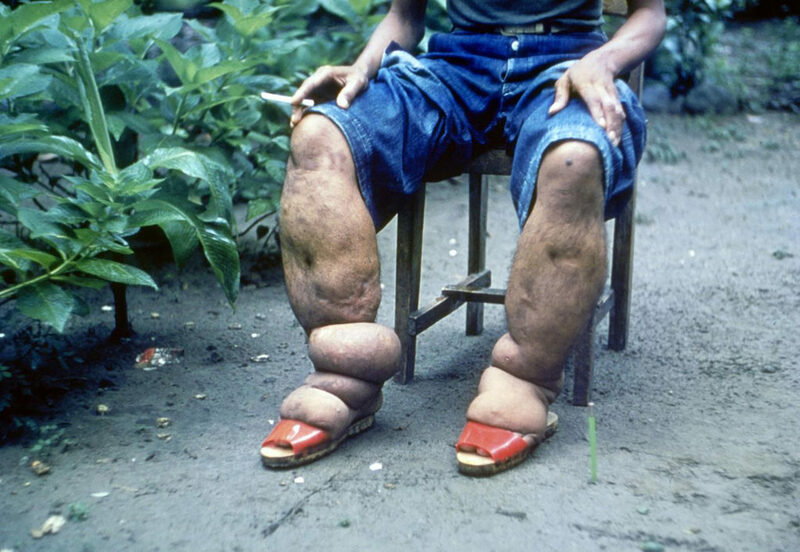 Filarial worms cause filariasis, a major disease in humans that infects up to 125 million people worldwide, and causes genital disease, lymphoedema (swelling of lymphatic tissue), and elephantiasis (massive swelling of the arms and legs) in up to 40 million people. Cannabis and cannabis extracts have also been shown to be effective against other types of nematode not present in humans, including the root-knot nematode Meloidogyne incognita, a common species of nematode that infects numerous different plant species. As the cannabis researcher and author Dr. John M. McPartland noted in his 1997 paper “Cannabis as repellent and pesticide”, cannabis preparations have been used to fight various plant nematodes including the potato cyst nematode, the soybean cyst nematode, and the spiral nematode. As well as nematode worms, cannabis has also been shown to have activity against trematodes, a large and diverse class belonging to the flatworm phylum. Trematodes are also known as flukes, and are flat, oval worms with “suckers” that they use to latch onto and feed on living tissue, similar to those found on leeches. Although they most commonly parasitize fish and invertebrates, some species are also very well-known to infect humans. One of the most concerning trematodes to infect humans is Fasciolopsis buski, the giant intestinal fluke, which grows to approximately 7.5cm and infects at least 10 million people worldwide, mostly in south and south-east Asia. Cannabis extract has been shown to have high effectiveness against F. buski in pigs—higher even than oxyclozanide, the current standard treatment. 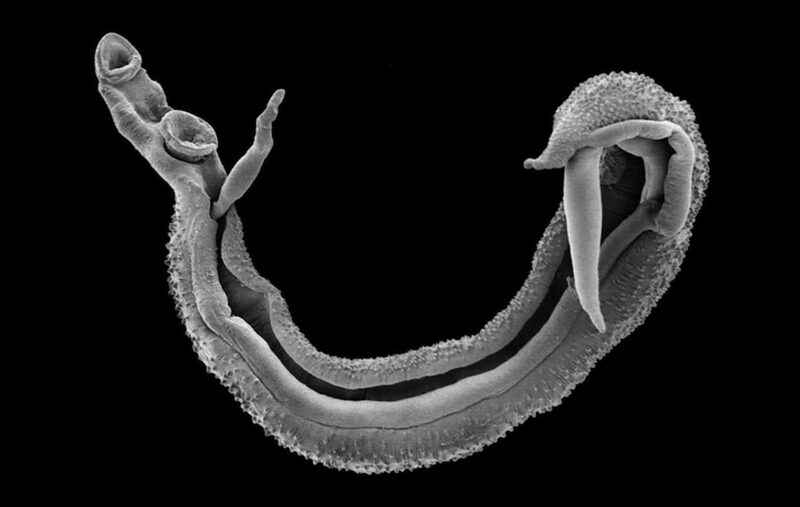 Another extremely important fluke in humans is Schistosoma, a trematode that infects the blood and is known to cause schistosomiasis, also known as bilharzia or “snail fever”, in humans. Schistosomiasis is a huge burden on the global healthcare system, second only to malaria, and infects hundreds of millions of people worldwide. While cannabis has not been shown to be directly effective against schistosomiasis, it has been demonstrated that the endocannabinoid system is involved in the progression of the disease. 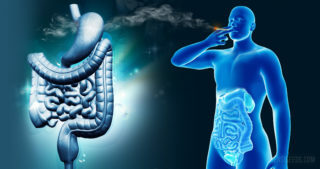 A 2009 study showed that levels of the endocannabinoid anandamide were increased in the livers of mice that had experienced schistosomiasis, and that expression of CB1-receptors was also increased. The researchers concluded that this increase occurred due to the EC system being involved in the development of the disease itself; however, it may occur as a response to the disease. 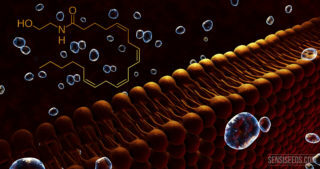 If the former, then cannabinoid antagonists could be beneficial; if the latter, then agonists would be more useful. Although protozoa and amoebae are not worms, they contain several important human parasites within their ranks, and cannabis has been shown to have significant effectiveness against some of them. An early study published in 1979 showed that THC was effective against the infamous “brain-eating” amoeba Naegleria fowleri, which inhabits hot springs and thermal watercourses throughout the world and is notorious for causing a form of encephalitis known as Naegleriasis. Another study published in 2010 showed that the endocannabinoids, anandamide and 2-AG inhibited two types of pathogenic amoeba, Acanthamoeba and Hartmannella, both of which are known to cause a horrific infection of the eye known as keratitis, which can lead to permanent blindness. Last but not least, the mightiest of all known human pathogens, the malaria protozoa (P. falciparum) may be inhibited by the actions of cannabis—not directly, but by killing the larvae of its mosquito vector Anopheles stephensi, just as it kills the larvae of the mosquito that carries filarial worm. Furthermore, there is evidence that CBD can protect the brain against the ravages of cerebral malaria, a potentially-fatal complication of the disease. So why is cannabis effective against these parasites? It seems that there are two main ways that cannabis can be effective against parasitic worms, protozoa and amoebae. The first possibility is that the targeted parasites actually have an endocannabinoid system of their own, which is affected by the introduction of THC or other cannabinoids in a manner that affects their ability to survive and reproduce. There is some evidence of this, in several species. The aforementioned study on Acanthamoeba and Hartmannella showed that cannabinoids specifically were effective against them. Separate research has shown that the amoeboid slime mould, Dictyostelium possesses a rudimentary endocannabinoid system, while this interesting paper outlines several species of nematodes that have been shown to possess cannabinoid receptors. However, there is also evidence that at least one species of nematode worm lacks a functional endocannabinoid system (this has also been shown for a handful of other primitive organisms that branched off the evolutionary tree long ago, including sea sponges and anemones). Therefore, for parasites like these, cannabis must exert its effects via a different mechanism. It’s possible that this is due to some property of cannabinoids themselves that has not yet been described, but there is another possibility that deserves consideration. Terpenes. Cannabis contains plenty of them, as do many other plants—and it appears that many of the plants traditionally used to fight parasites have a few terpenes in common! In recent years, it’s become clear that terpenes play a massive role in medicine, and it seems that parasite control is yet another of their abilities. Terpenes and terpenoids are abundant in nature, and there are thousands of different types, some of which have very interesting potential applications. Indeed, there is evidence for terpenes having the ability to kill or inhibit growth of amoebas, protozoa, nematodes and trematodes! One piece of research that tested 34 different plant terpenoids against the nematode Caenorhabditis elegans found that several terpenes commonly found in cannabis, including nerolidol, geraniol, citronellol, limonene, and eugenol, had significant anti-nematode activity. Another paper investigated the action of fifteen tropical plant extracts against the cattle fluke Fasciola hepatica and found five extracts to be significantly effective, all from plants high in various terpenes. One plant, Artemesia, contains eucalyptol, linalool, myrcene, caryophyllene and pinene, all of which are present in cannabis in significant concentrations. The terpenes geraniol and citronellol were also found to be effective against the Giardia and Cryptosporidium protozoa. Of course, cannabis is not the only herb that was widely used in folk medicine to counteract intestinal worms. 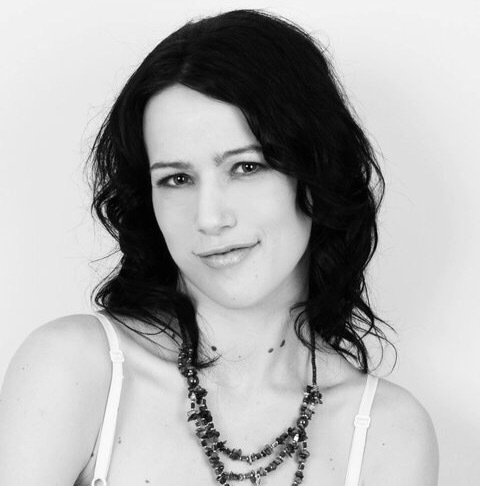 Perhaps part of its ubiquity can be explained by the fact that humans took cannabis with them pretty much wherever they went, so it was always available; nonetheless, there is a strong suggestion that it must have been seen to be particularly effective for it to be so widely used, and for so long. Today, many communities that traditionally used cannabis to treat intestinal parasites are no longer permitted or able to do so, due to the restrictions of international law. Thus, a traditional medicine that can mitigate the severity of parasitic infections has been lost from the pharmacopeia, potentially adding to the pressure on conventional healthcare systems to manage the problem. If cannabis medications were permitted once more, they could provide a sustainable and low-cost treatment option for several major parasites—particularly given that prevalence of intestinal rates is generally far higher in much of the developing world where cannabis was traditionally cultivated. had you also considered that the hairs on the leaves which the plant developed as a defence against grazing animals would be beneficial in removing parasites from the intestinal tract of human beings. Every time I smoke marijuana I have to go #2 . It's like a laxative , almost like fumigating my body of toxins . I trust my gut. 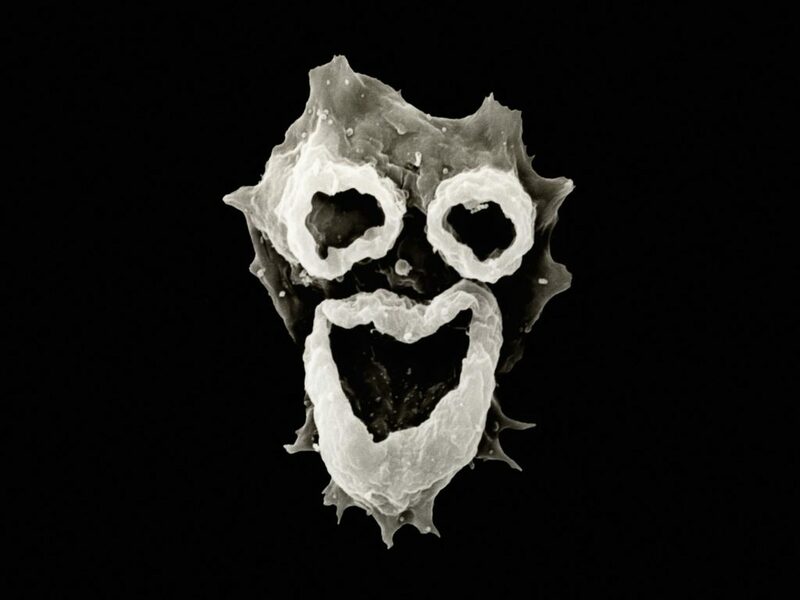 Can you tell me if you know anyone who has been treated for dientamoeba fragilis, a parasite, with CBD Oil and did they eliminate them altogether with a negative (no parasites) test result after treatment? Do CBD oil &/or hemp seeds alone have good ant-iparasitic activity? What is tho other herb referred to that the Aka use against parasites? Thanks for your comment. 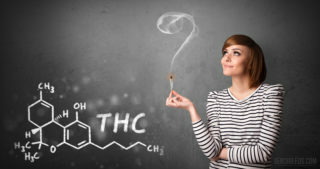 I'm afraid I can't answer your first question, as I'm unable to find proper scientific data on it; based on my understanding of the topic though, I would think it is unlikely and I would guess that the entourage effect of both terpenes and the full spectrum of cannabinoids would be required. The (somewhat surprising) answer to your second question is tobacco. There is at least one credible study to support the use of nicotine as an anthelmintic among the Aka people. However, they do not have access to conventional anthelmintics, and in no way does Sensi Seeds recommend the use of tobacco for anything apart from making your own pesticide! I hope this is helpful, and that you continue to enjoy the blog. Eating Cannabis herb should do the trick. Put some in the mouth area, maybe use your teeth to grind it down with your saliva, keep on chewing for a good few minutes and then swallow the lot, there you go! Enjoy that authentic vegetative plant juice tastyness. Wait for about 1hr 45mins and enjoy 8 solid hours of nematode warfare on pc and a good powerful evacuation of the colonic worm farm. Boom. They were either seen and felt or felt and absorbed like spaghetti. Result. I gave my dog edible marajuana everyday for anxiety and two weeks later dead round worms came out. So it definitely works! !